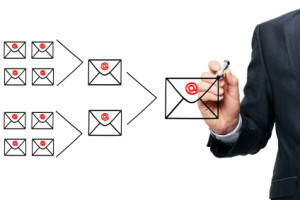 Email has become one of the most important services in the IT service industry. The expectation to have 100% uptime is non-negotiable and this has a direct effect on productivity. Along with this comes the stress of managing SPAM and general security threats that are constantly increasing. At Leftclick we understand the full landscape and based on this we can advise our clients on the best solution for their business and requirements. We specialize in a number of on-site mail servers solutions including Exchange, Linux and 3rd party managers. The hosted exchange solution was one of the first steps to move business critical services into the cloud. While there can be significant cost savings involved, we will need to assess you email environment to identify if this solution suits your business requirements and budget. Affectively you will still be able to enjoy all the benefits of using an exchange server like calendar sharing, but without the added hassle and cost of managing an exchange server on-site. Leftclick partnered with Mimecast to ensure 100% uptime for email and to make use of the entire basket of additional features. If your email is your lifeline then Mimecast is for you! This is an off-site service and all incoming, outgoing and internal mail gets processed via Mimecast services. The service fully integrates with all mobile devices to ensure you always have your email with you, even when your mail server at the office is offline. There is however a whole basket of features bundled with this solution as listed below.